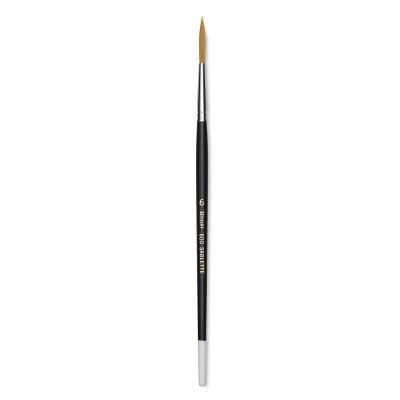 Utrecht Synthetic Sablette Brushes are an economical alternative to Red Sable brushes. Durable and wear-resistant, they have long, tapered filaments for paint capacity and resiliency, excellent for watercolor paints. Seamless nickel-plated ferrules on black lacquered handles. These extra-long brushes are for creating fine, straight lines and lettering.